September and October have come and gone without a new blog post. Every time this happens I feel bad and commit myself to doing better... without results. 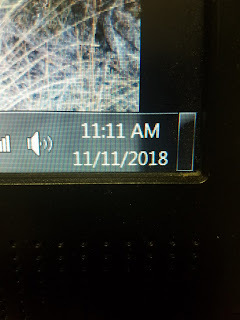 As I write this post at around 11:11 AM on November 11th, 2018 (2+0+1+8 = 11) I assume that this day has some significance of some sort other than the commonality of 11s. 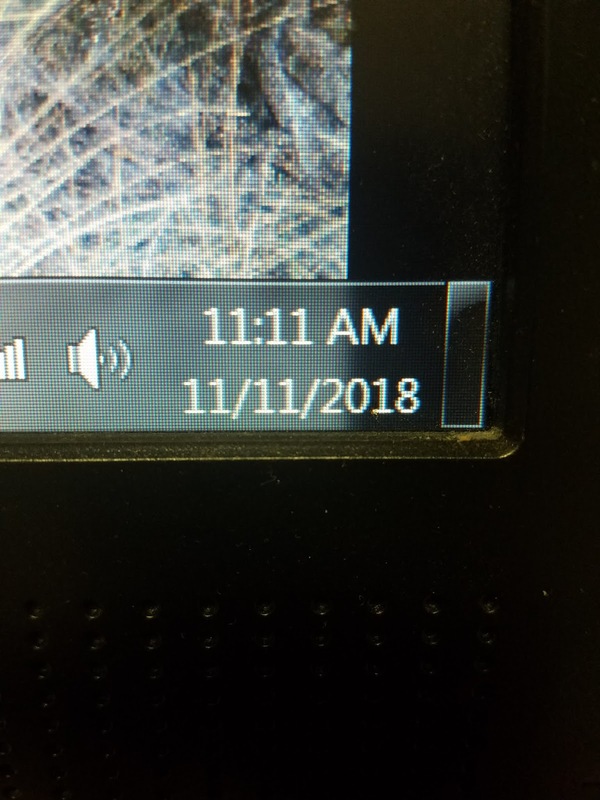 There are of course many conspiracy theories around this day and this number. Not gonna get into it. What I do know is that our world is changing dramatically and quickly. I assume some people see it as mostly good but those of us who are painfully and widely awake see it quite differently. We shall see what tomorrow will bring. I hope you are able to listen to the radio show or the podcast. I use this as an excuse for not blogging as I am putting out other content, which I hope is valuable to at least some of you. This has also become difficult to do every week. Life "gets in the way." With 5 kids and a wife who just broke her foot and now has a knee scooter for 3 months, it has recently become even more difficult. I have many other interests in addition to prepping and I absolutely love being involved in my kids lives. My full time work is very demanding as I work on commission but for a very reputable worldwide company. It's truly the perfect "job" for me, but I still only consider it a job. My job is not my life like I see that it is for many of my co-workers and managers. Unfortunately these kind of commission earning jobs can tend to consume much of ones life. I am doing what I can to be a loyal employee but also live life as it is intended. Obviously in today's day and age these two concepts conflict greatly. Over the last 5+ years my eyes have been opened wide and I have found myself trapped by my situation. I feel that I see many things critical to this day and age that others do not. By the end of this year I (we) will be completely out of debt, besides the mortgage. But living in a suburban area in this modern era there are many expectations that still must be met and systems to be subjected to. Unplugging would be considered unreasonable with all of the conveniences we have. Unfortunately all of these conveniences come with a price and the subsequent obligations and servitude. With future weddings to pay for, home and vehicle maintenance needed, and saving for other expected and unexpected future expenses and eventual retirement I am tied to this existence for the foreseeable future; but I will continue to prepare for what I expect to come next. If you listen to the show with any frequency you'll hear me often talk about looking to the past to prepare for the future. As I see technology advance I feel more and more left behind, however purposefully. I am aware of the advancements but consciously choose to distance myself from them as I am able. I am beginning to feel more and more like an outcast with any other employment possibilities diminishing greatly if I don't give in and follow the crowd. I can only imagine how my life will be different from most everyone else as this continues. I don't think it will, or can, continue much longer. I am drawn to look to our ancestors and prepare for the future accordingly. I have heard it said that the further you look into the past the farther you can see into the future. I don't want to paint a ugly picture or create fear because preparation dispels fear, and that's what I'm all about. If you are prepared for an emergency and it happens, did that emergency really exist? If a tree falls in the woods and no one is there to hear it, does it make a sound? Hopefully you have your own answers to these questions. From this date and forward, things will not get better until they get much worse first. That date, where we started our permanent slide downhill, was actually many years ago. The economy has been fake since before the financial collapse of 2008, the morals of our country have been degrading for generations, and civil discord continues to build today. One day soon all this will be allowed to break. We are in the last days of this era. Yet there is still much that needs to happen before Christ's second coming. Most of what is left to occur is the ugly stuff, the scary stuff. There is not much time left to prepare for the difficult times that are coming before it will be practically impossible. I have been calling 2018 the year of opportunity for a reason; it may be our last [to prepare]. If not, then consider every minute of every day hereafter a blessing, an additional opportunity prepare yourselves along with your neighbors too. Thanks for listening.